As seen on KTVK Channel 3's, Your Life A to Z. This week's SpotLite On SuccessTM star is Alberto Rodriguez, who loses more than 100 pounds by learning to eat consciously and bring his mind to his meal. As seen on KTVK-TV Channel 3's, Your Life A to Z. This week's SpotLite On SuccessTM star is Bonnie Moehle, who loses 35 pounds by choosing happiness in her life. As seen on KTVK-TV Channel 3's, Your Life A to Z. This week's SpotLite On SuccessTM star is Elisa Pavlet, an amazing woman who loses 190 pounds by practicing yoga. As seen on KTVK-TV Channel 3's, Your Life A to Z. This week's SpotLite On SuccessTM star is Dee McCaffrey, who loses more than 100 pounds by eliminating processed foods from her diet. As seen on KTVK-TV Channel 3's, Your Life A to Z. This week's SpotLite On SuccessTM star is Michelle Gere, a courageous woman who brings her closet eating into the light. As a result, she loses more than 60 pounds. As seen on KTVK-TV Channel 3's, Your Life A to Z. This week's SpotLite On SuccessTM star is Jill Wilson, who creates a revolution with her New Year's resolution. She loses almost 50 pounds by re-claiming her power over food, weight and the way she treats her body. To her TV audience of thousands, through the pages of her books, or in a venue filled to capacity; Bronwyn transforms it to a one-on-one exchange, a relationship which is intimate and relevant to each individual and their unique circumstances. 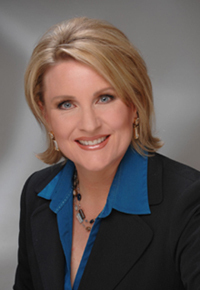 Bronwyn Marmo introduced her television segment titled 'SpotLite on Success' to KTVK Channel 3 in early 2008. Today, Bronwyn continues to provide relevant and inspirational content for this on-going series which consistently touches members of our audience who face personal weight loss challenges or who support weight loss efforts of loved ones. One of many advantages to working with Bronwyn is her understanding the medium of television and her ability to include elements which transform her stories, originally designed for print, into engaging stories for television. What an absolute delight it was interviewing Bronwyn. Her vibrant personality shines through any media and comes across as warm, knowledgeable and professional. My listeners loved her! You are incredibly insightful and have such a passion for sharing your inspiring message of hope with the world. I would love to have you back on the show and will absolutely support you in all your ventures. You are tremendous! Bronwyn, Your segment was a hit! We'd like to have you on two times in February.